To pick up a copy, check with your local comic book shop. If they don’t carry it, suggest it. Wizard World New Orleans Comic Con January 9, 10 and 11, 2015. Stop by to say hi – tell him Jim Keefe sent ya! UPDATE: From Comics Revue Editor Rick Norwood. Back issues from #201 to date are available from me. 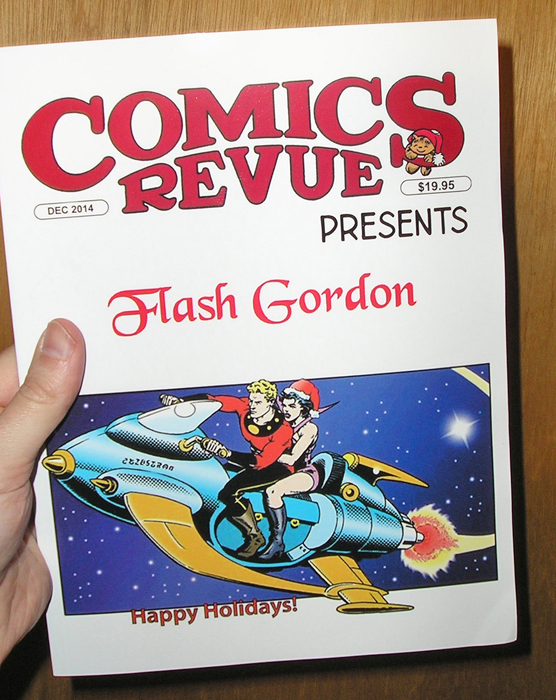 If you go to www.comicsrevue.com and order a single issue, US $20, paypal, I’ll send you a copy of the issue with Jim’s great cover. Same offer for everyone else, in the US and out — just ask for the Dec 2014 issue. This entry was posted in Comics Revue and tagged Comics Revue. Bookmark the permalink.